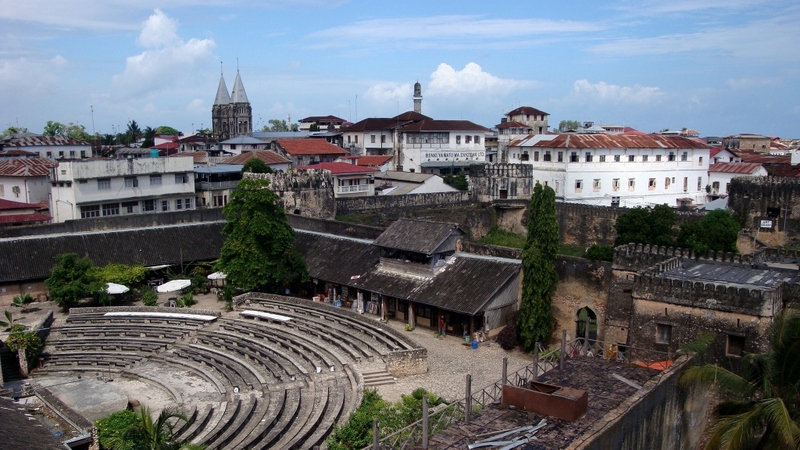 Students wanting to spend their summer fully immersed in a different culture while also getting ahead in their university and Clark Honors College coursework should consider the Intensive Swahili in Zanzibar study abroad program, co-directed by honors college professor Melissa Graboyes and instructor Mokaya Bosire from the linguistics department. Graboyes says the program offers a different approach to students’ engagement with a foreign culture, and learning the language helps students develop a greater understanding of the opportunities and challenges that locals face every day. “It’s a very different kind of study abroad meant for students who want to understand the deeper parts of the places they travel to,” she says. No prior experience with Swahili is required. For those with the impression that traveling to Africa means blaring heat and dry desert, a trip to Zanzibar — an archipelago off the coast of Tanzania in East Africa — will quickly change that. 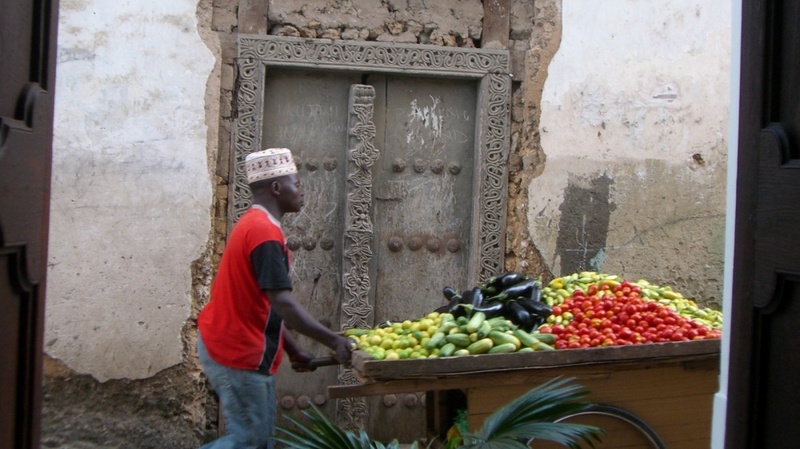 Graboyes describes the buzz of the city: small motorbikes weave in and out of the narrow streets of Stone Town, a historic district showcasing a rich history of Arab, European, and even some Swahili architecture dating to the 10th century. Vibrant outdoor markets mix with cosmopolitan shopping centers, and the nearby tropical beaches bustle with tourists and locals. 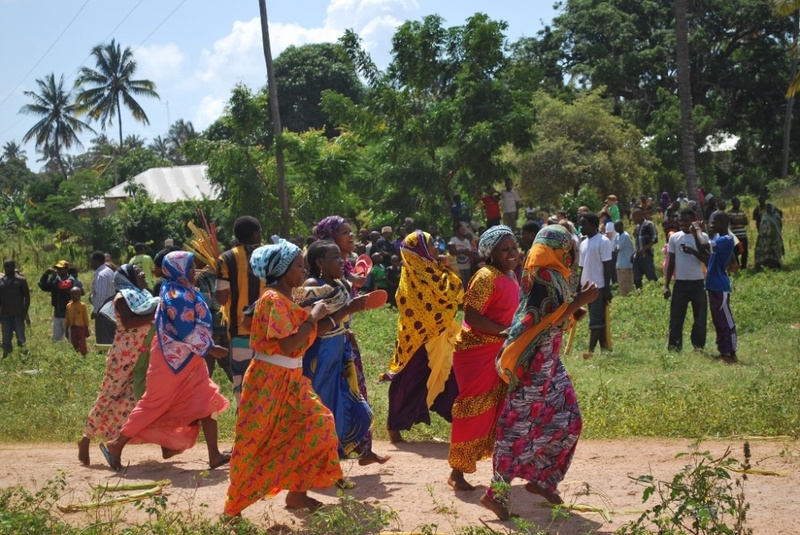 The program, available to students with sophomore academic standing or above, includes an honors college colloquium and takes students through an eight-week rigorous course — equivalent to 12 university credits — in Swahili, a language spoken by more than 100 million Africans and the most widely spoken language on the continent. The program coursework equates to a full year of the university’s foreign language classes, meaning students with some experience could take the second-year Swahili course in Zanzibar and fulfill the university’s two-year language requirement. 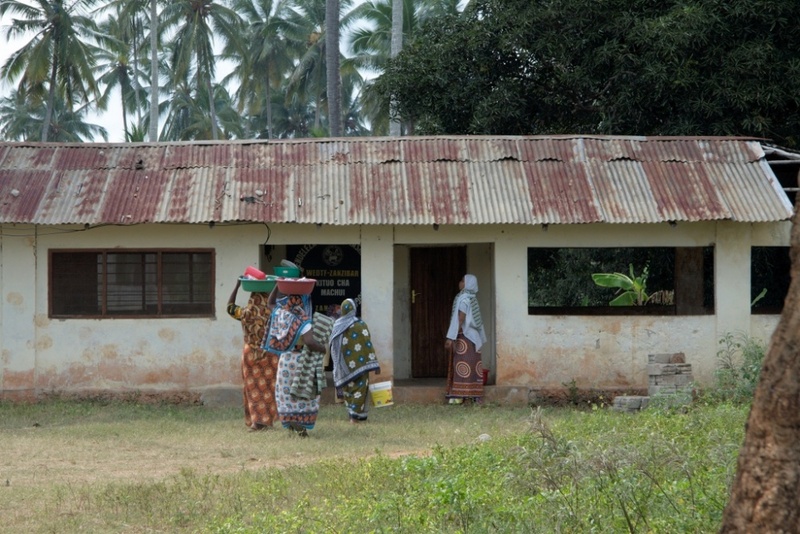 Students take an entry exam at the start of the program that determines the difficulty level of Swahili courses they will take, and professors from the State University of Zanzibar teach small classes of six to eight students, many of whom are also studying abroad. This means students spend their class time with people from places like Libya, Morocco and Sweden. “Lots of great friendships get made that way,” Graboyes says. Students experience life as a local Zanzibarian through homestays with families in Stone Town. By sharing meals, helping with daily chores and going on trips to the markets, these families invite students into their culture and give them a new perspective on the world around them. Graboyes believes this level of immersion incites undergraduates to critically consider their own lives as well. “I think it’s so great for forcing smart students to self-reflect about their own experience, to think about their own position in the U.S. compared to their position as a foreigner in a new country,” Graboyes says. Rhaine Clark, a third-year international studies major in the honors college, took the Swahili course last summer. She had studied the language for two years prior, so she was placed in a host family who rarely spoke English. She says that while the experience was challenging at first — her host parents tried keeping conversations simple — it quickly boosted her fluency. The program isn’t just an opportunity to learn a new language. Graboyes says it can jump-start research ideas and be a foundation for an honors thesis project. The inspiration for her best research ideas often come from conversations she’s had with locals or something she saw while working in the field, experiences that she couldn’t have had back in the U.S.
“They are things I couldn’t have imagined while sitting in an office or even sitting around really smart people here at the university,” she explains. Rhaine says she experienced a similar bout of inspiration during a conversation with her host mother’s best friend. The woman, who had received a degree in hotel management from one of the region’s top universities in mainland Tanzania, couldn’t find a place to work despite her prestigious degree. 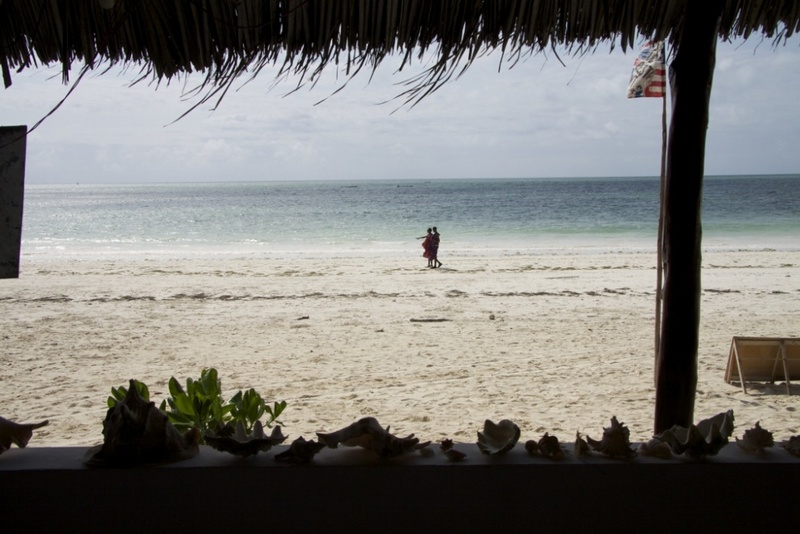 While the hospitality industry is one of the most prosperous in the country, Rhaine says that the woman’s difficulty in finding employment demonstrates a significant but often-ignored gender bias in Zanzibar’s tourism sector. She says that without the intensive Swahili program, she never would have known about the issue, let alone have chosen to pursue it as her thesis topic. 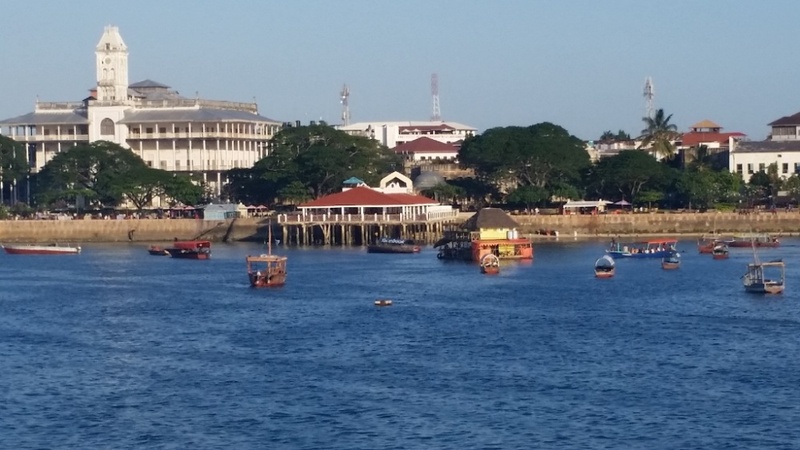 Rhaine will return to Zanzibar this fall to conduct more research on the topic and use the material for her thesis, funded in part by a mini-grant she received through the university’s Undergraduate Research Opportunity Program. A variety of scholarships and grants are available to students that help cover the costs of independent research. For a list of funding opportunities, visit the honors college’s scholarships page or the opportunity program website. Graboyes said she is available to help students who want to carry out an individual research project like Rhaine during their time in the program. She also offers guidance to students who are curious about how to incorporate the program into their thesis work. She can be reached at graboyes@uoregon.edu or 541-346-2829.